It was Sunday morning and since we wanted to see the sunrise the alarm was set. I had slept well in that big bed with it’s warm flannel sheets. The world outside those sheets was cold but I was determined. A new day in bushland Africa. 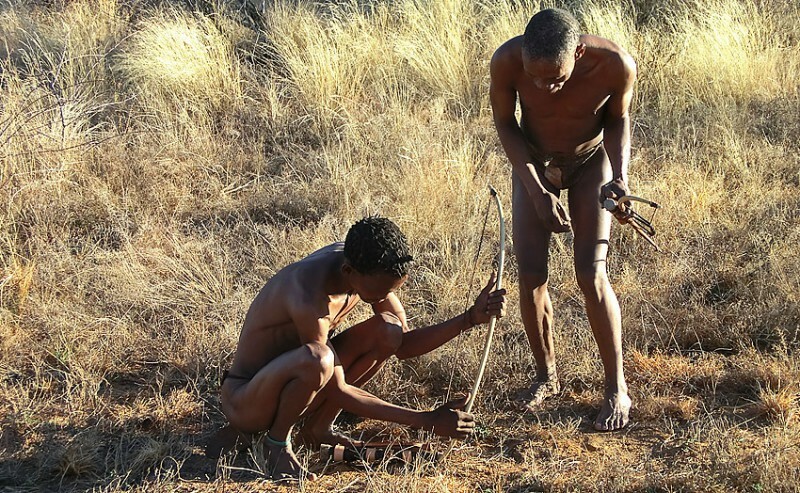 A bow can also be a digging tool to find roots with special properties. Every now and then the two men stopped to show us something. In their strange clicking language they told us about how their nature can provide them with everything they need. Luckily we had Chrizelda with us translating the San language. These two men had so much warmth and humor. It was a truly special experience to get this small glimpse into a world that perhaps was the world of my ancestors 100 000 years ago. 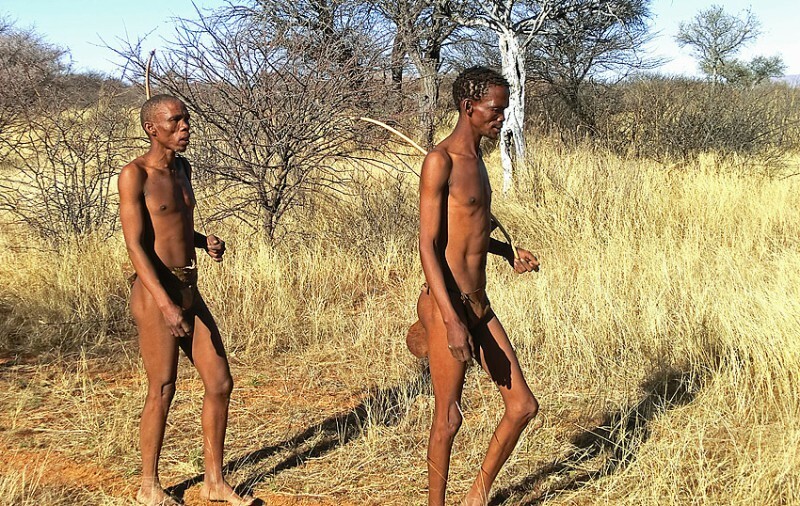 We come to the San village. Houses like this can be built in no time. 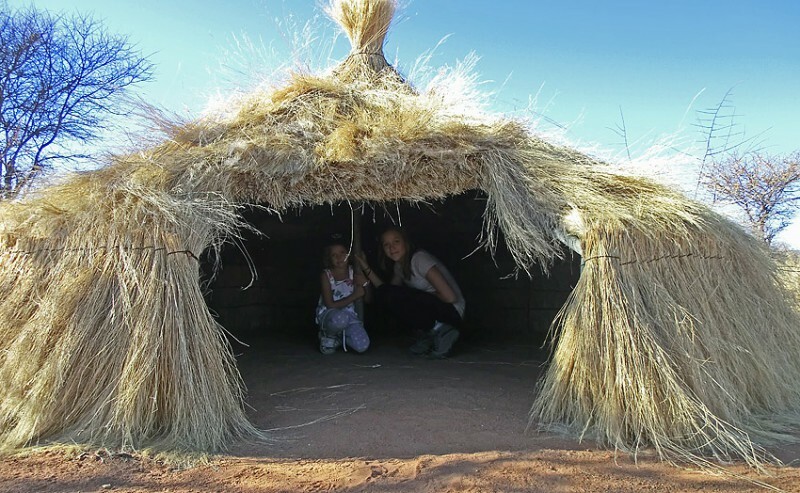 The San people used them especially during the cold winter. 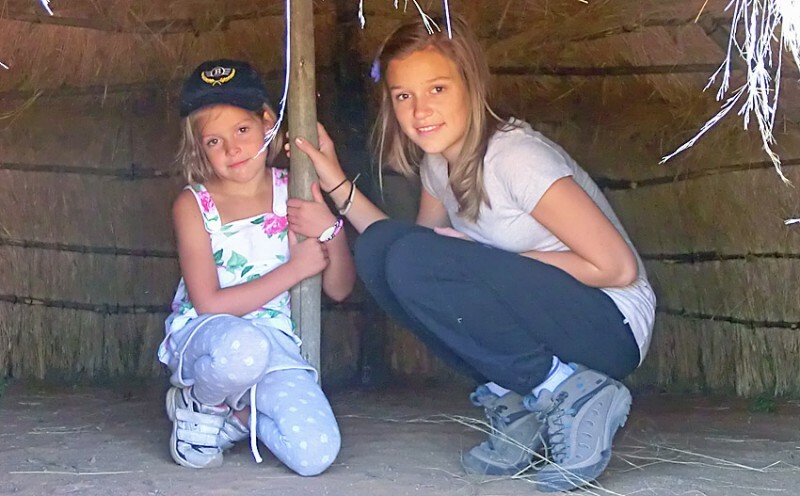 In this village we found a few huts surrounded by jagged branches piled up to form a protective enclosure. Would they have spent a night in here? Walking in this landscape was both interesting and relaxing. Considering our youngest we kept our walk short, about two hours, but the lenght is adopted to what the guests want and I heard that some did four hour walks. During our walk we saw tracks of animal but no actual animal. 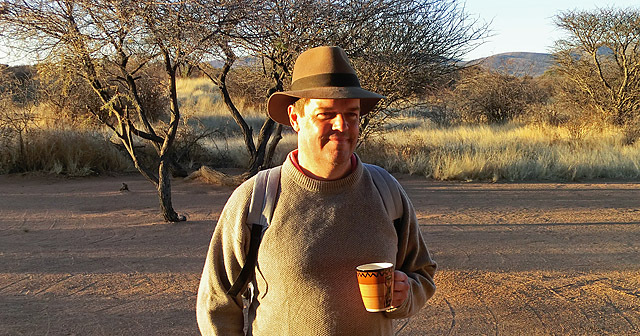 Again a very different experience from the standard lodge visit in Namibia. 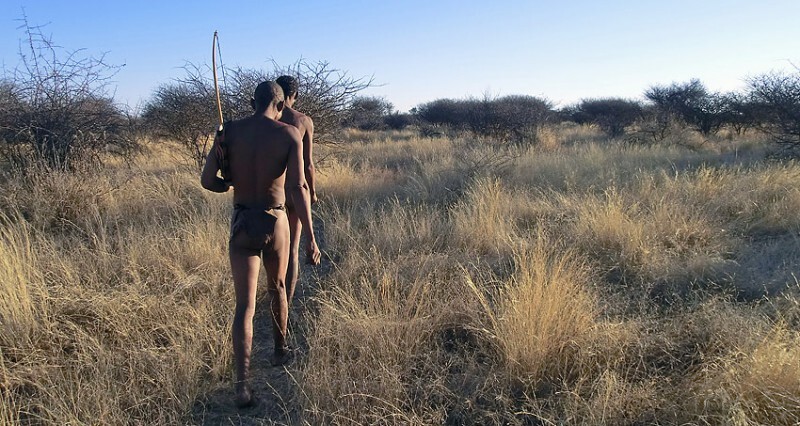 This was less about scenery and animals but instead it was cultural and human. 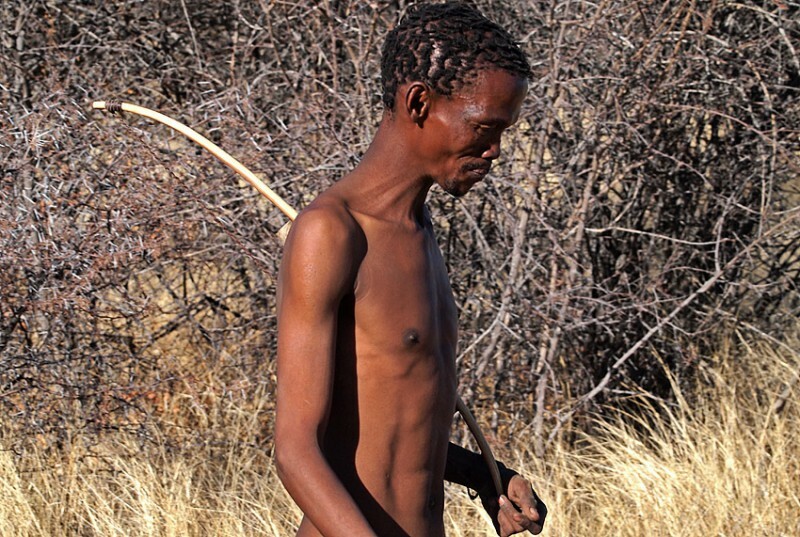 Namibia does have a beautiful nature and an abundant wildlife. 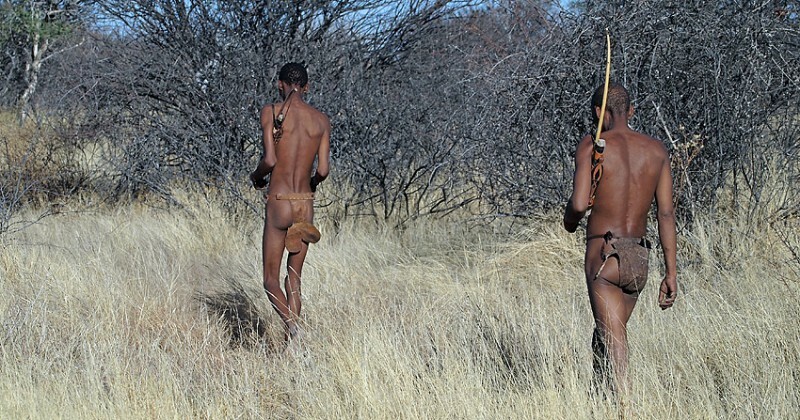 But Namibia also have an interesting history with people and culture. 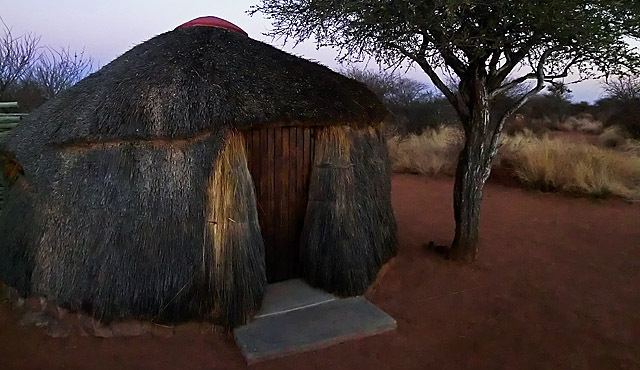 Visiting Aabadi-bushcamp is an unique opportunity for a profound human experience. I’m glad the world is so small that a message from Sweden brought me to Aabadi, it’s bushes and its people. Så mycket intressant ni får uppleva! Ni kommer att växa i själ och hjärta….